Hi there - I recently moved into the Barnsley area (Oxspring) from Bonny Scotland where I worked as a Shepherdess for 8yrs. And then there is the Springer .... .... rescued from being pts because he is ... a springer! Nutty as a fruitcake, but happy and jolly and silly and .... great fun! I had my beardy clipped (I have only had her a couple of months) as she was so matted up that it was impossible to get a brush through her coat without hurting her .... I guess I will have the joy of the full long coat when it grows Lol! Yes, ours came totally shaved due to matting approx 12m ago. It has taken a bit of a 'power struggle' to sort out the grooming but we're getting there. He's a young guy so we have had puppy coat to deal with too!! Hope yours is settling down ok, she sounds great, a real beardie except for the 'sensible' comment. Ours is nuts! Hi Jann, welcome to our forum, sometimes informative, sometimes helpful, sometimes mad but we always try to keep it fun! I've got a Border collie cross and a full collie, he came from BARC just over a year ago all his posts are on here he had a little problem.........he attacked other dogs, but he's much better now and definitely worth the effort and hard work. Thanks for joining and i look forward to reading about your rampaging lot! Yes I can vouch for Julie, she has both a collie and a beard! so its legitimate!! I hear she barks at other dogs from time to time too!!!! So are you implying that i'm a DOG Benson? or are you just a little jealous because my 'Tash' is better than yours........be careful!!!! You know you always LOOSE! dont you mean broken teeth??? It can be arranged Benson!! How was your filling, very painful i hope! Hi From an old newbie, I started coming on here sometime last year, but then life got soooo busy again with another dog and other stuff i havent had time to get on here, apart from being a member on facebook!!!! Hey anyways, and this new dog parents have just loves being around other dogs, so next time you all go a walkies maybe we can join you all! Im sure Mia (the new dog) will appreciate it! Great to see you back Twace! There is talk of a sponsored dog walk in September so watch this space. You are welcome to walk with our dogs at the kennels anytime you like. Thanks for the welcome back! Was trying to get a pic of Mia on here but dont think its working! but it could! 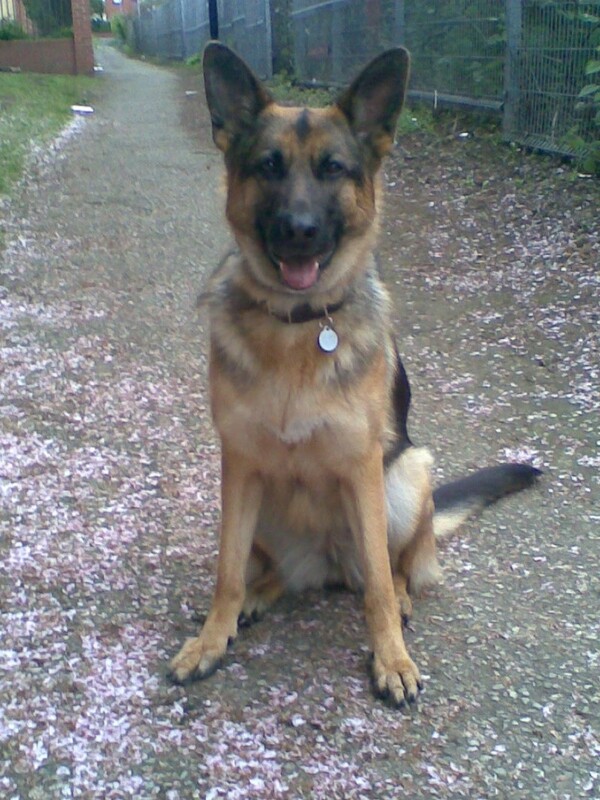 this is the dog that wants to walk with me, we have only had her 12months she will be 3 years old in november!!! Might pop for a walk later this week if thats ok. Find out more about the sponsored walk thing. We don't have any details on the walk as yet, but will post them on the forum when we know a defininte date. Hope its not near the end of September cos im away but i suppose there will be other dates!! !